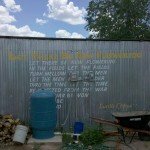 Lucille Clifton's poem "let there be new flowering" inscribed on the community kitchen at El Cosmico (Marfa, Texas: June 25, 2010 at 3:12pm CST). 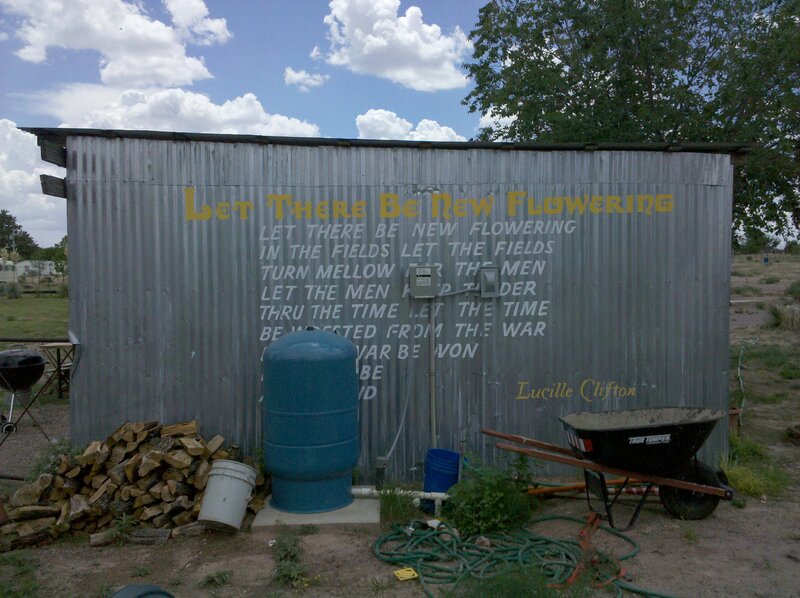 — Lucille Clifton‘s poem “let there be new flowering”. Available in good woman: poems and a memoir 1969-1980, (Brockport, New York: BOA Editions, Ltd., 1987). First published in an ordinary woman, (New York: Random House, 1974), p. 91. Posted on behalf of Lucille Clifton on Wednesday, June 30th, 2010 under Quotations. Lovely. Let it be now. Thank you, Gregory.